Who won the Academy Award for Best Actor in a Supporting Role in 2004? How long is the longest side of a tennis court? Bei welchem American Football Team ist Peyton Manning Quaterback (2013)? Wer schrieb das Drama “Don Carlos, Infant von Spanien”? What is the name of the cat that goes after Jerry? What are Twilight protagonists’s names? When a person dies, the process of preserving the body is called what? Question : Who won the Academy Award for Best Actor in a Supporting Role in 2004? 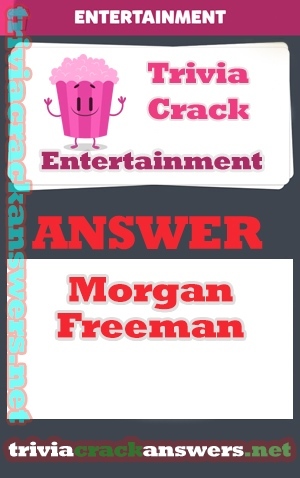 Answer : Morgan Freeman won the Academy Award for Best Actor in a Supporting Role in 2004. Previous Previous post: What band released the single ‘Livin’ on a prayer’? Next Next post: Which actor portrayed Clark Kent in the movie “Man of Steel”?